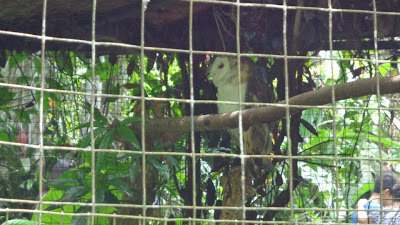 It took us more than an hour to get to the Philippine Eagle Foundation, but seeing the haribon was well worth the long trip. he Philippine Monkey-Eating Eagle is atop the endangered species list here in the Philippines because of deforestation and poaching. With this information in mind I made it a point to see this illustrious symbol of the Philippines before it becomes extinct (I hope it doesn't). The Philippine Eagle can grow up to more than 3 ft. and has a wingspan that can measure up to more than 7 ft. The Philippine Eagle's breeding cycle lasts for up to two years and only produces one egg during that span. The Philippine Eagle makes sure that it takes care of its chick till it matures before reproducing again. 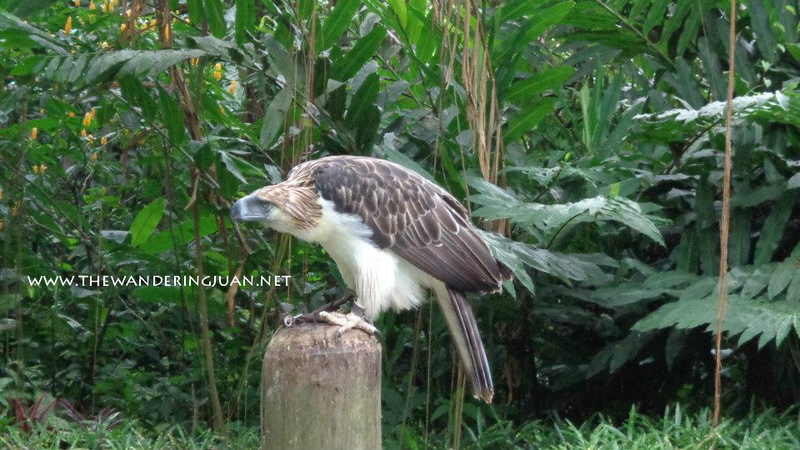 The Philippine Eagle is an apex predator that has a steady diet of smaller prey. 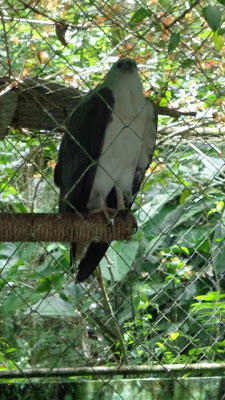 The haribon feeds on various animals such as deers, lemurs, bats, monkeys, squirrels, and other small animals within its region. 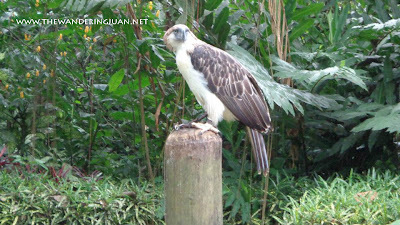 The Philippine Eagle is also a monogamous animal which only takes one mate for the rest of its life. 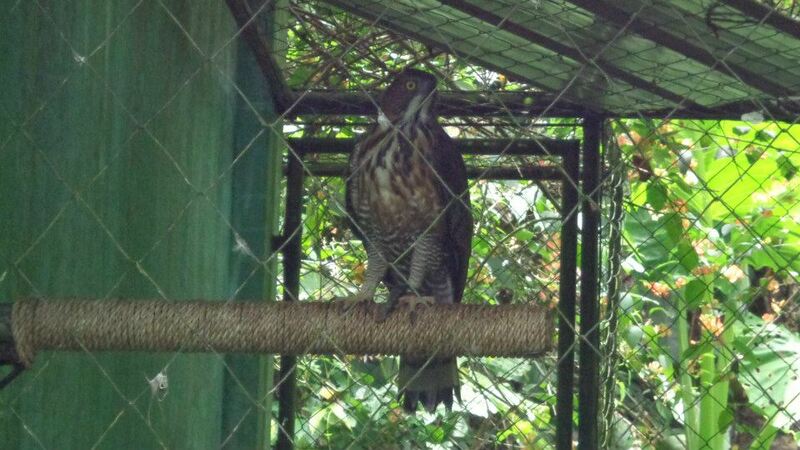 The haribon is also a very territorial bird that attacks anything and anyone that threatens it. Since no one was allowed to go near the eagle and the keeper was out, this was the closest picture I got with the haribon. Too bad it did not spread its wings. The Philippine Eagle Foundation is also home to a variety of other birds. These are some of the birds that were also in the foundation. 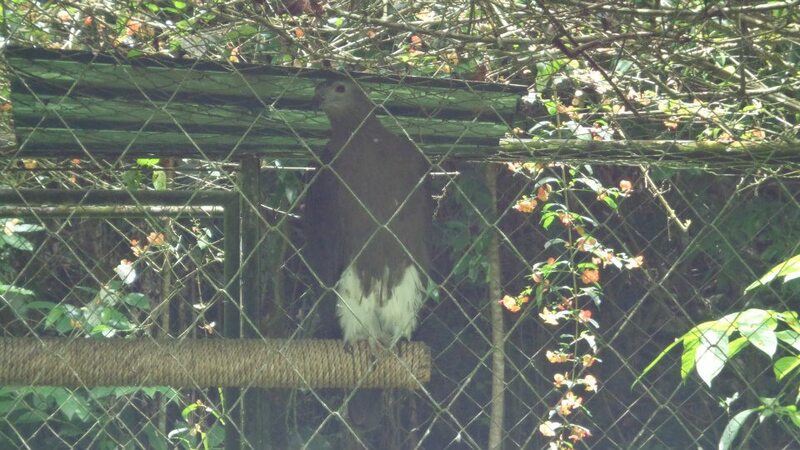 The foundation made sure that people know the reasons why some of the birds in conservation are threatened to become extinct. I liked how they make people aware of the plight of the indigenous birds of our country. 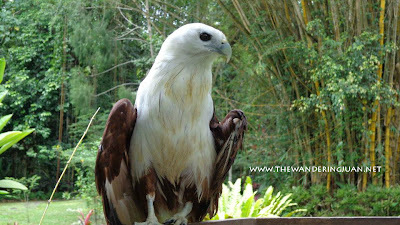 The trip to the Philippine Eagle Foundation takes 45 minutes to an hour by private car and an hour and a half to two hours by public transport. You can take the Route 11 jeep to Bangkerohan Terminal for P8 then either ride a van for P43 to Calinan Terminal or go to the Annil Bus Terminal for P45 to Calinan Terminal. 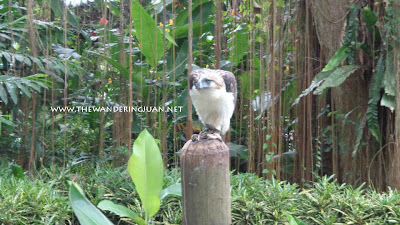 After arriving at the Calinan Terminal, ride a pedicab for P10 to the Philippine Eagle Foundation. 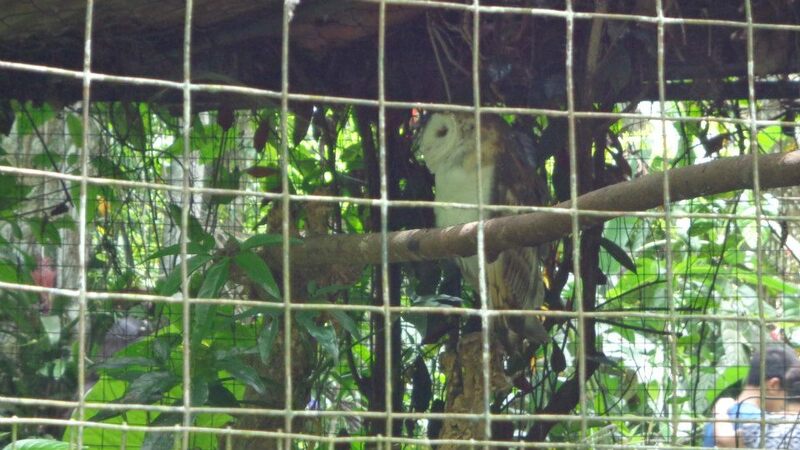 You have to pay a P5 entrance fee to enter the compound and another P50 (adults) for the actual Philippine Eagle Foundation. I hope you had a great time in our city! I haven't visited the Philippine Eagle since 2005 and I wonder what are the changes made.. Thanks for visiting our city. Madayaw. The last time I've visited the Foundation was 12 years ago. Tagal na! Good to know they still have a lot of birds there. More people should visit and support the place! 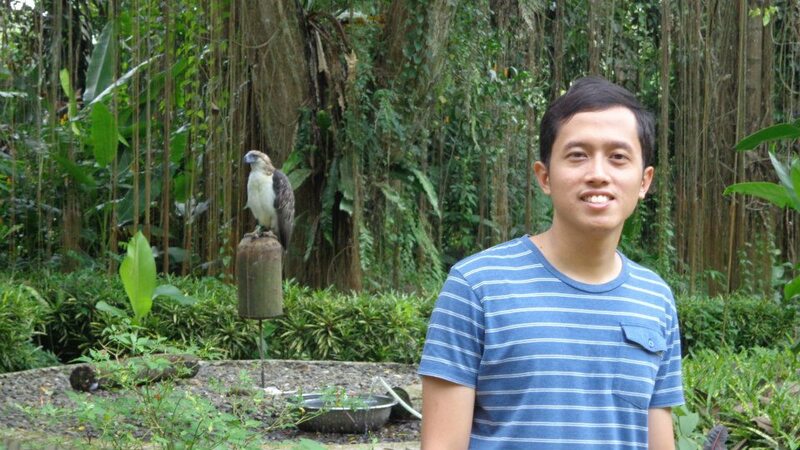 Glad also to know that there are institutions that are into preserving nature, especially the endangered species like our Philippine Eagles. :-).